From 21 to 23 January 2019, the Mont-Blanc 2020 team was among the 500+ experts and students gathered in Valencia (Spain) for the yearly HiPEAC conference. 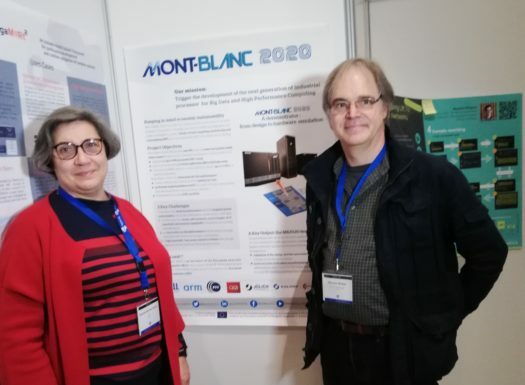 The Mont-Blanc 2020 poster was exhibited among the Project Posters. 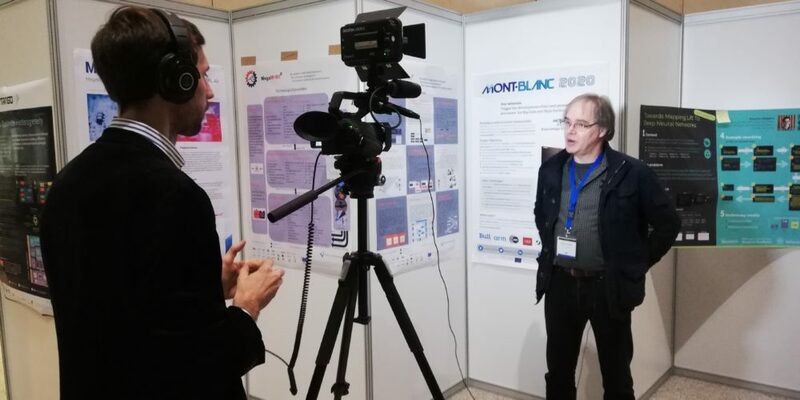 And Mont-Blanc 3 coordinator Etienne Walter was interviewed by the HiPEAC’s video crew about the Mont-Blanc projects in general.